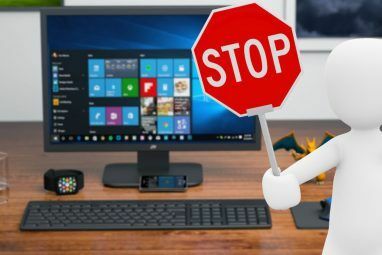 Alternative web browsers 9 Alternative Chromium Browsers That Beat Chrome at Its Own Game 9 Alternative Chromium Browsers That Beat Chrome at Its Own Game Google Chrome is the most popular browser today. But it has its problems too. These nine alternative browsers are lightweight and retain the technology that runs Chrome. Get the best of both worlds. Read More are not uncommon, but it’s rare to find one that is supported over a long period of time. Such is the case with Avant browser, an option that’s simultaneously under-the-radar and quite popular. It’s not often referred to in popular media, but is also more popular than options like Flock, LunaScape and SlimBrowser. It’s been downloaded over 26 million times from CNET. But is it really a good alternative to mainstream options, such as Internet Explorer, which the browser is based on? Let’s take a closer look. If you’ve ever used Internet Explorer Exploring The New Internet Explorer 9 Beta Exploring The New Internet Explorer 9 Beta Read More , you should not have trouble becoming acquainted with what is offered by Avant. The basics interface is similar to IE9 and important interface features like the URL bar, tabs, search bar and menu options are located in similar places. There are also differences, however. The history, back and home buttons are in a different place, and this browser still relies on a more traditional text-based drop-down menu system located in the upper right hand corner of the browser. It’s a reminder of why this sort of menu was abandoned to varying degrees by the major browsers, as the huge selection of options can be confusing and intimidating. On the other hand, users who are more-detail oriented will probably like the fact that so many important browser options can be changed without opening a sub-menu window. 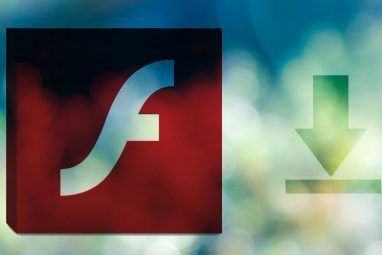 Even themes can be changed directly from a drop-down, and new themes are loaded instantly, with no need to reboot the browser or even the slightest annoying flash or visual artifact. Avant is absolutely crammed to the brim with features. Perhaps the most interesting, at least to geeks, is the fact that the browser can currently be downloaded with compatibility for two different browsing engines – IE9 and Firefox. You will need to download the Ultimate version of Avant to use Firefox rendering, but don’t worry. It’s also free. There are other handy extras, too. For example, you can split any browsing window into two, and view different websites in each at once. It’s not much different from using Windows Aero Snap, but it exists in your browser so you don’t have to open two browser windows. Another cool feature is video downloads 4 Quick Ways To Download YouTube Videos Off The Net 4 Quick Ways To Download YouTube Videos Off The Net Don't have a stable connection? You can still enjoy your favorite YouTube videos in high quality and at any times. 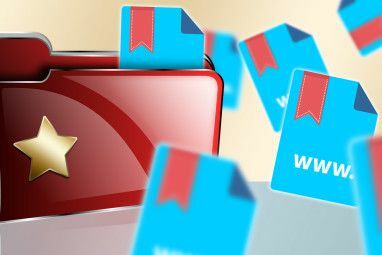 All you have to do is choose one of the tools below, choose your format... Read More . If you visit a site with video content, a small notification will appear asking if you want to download it. There doesn’t seem to be much that the browser can’t download, including YouTube videos. Once a video has been downloaded, it can be opened in VLC Player The VLC Media Player - Does it Really Play Everything? The VLC Media Player - Does it Really Play Everything? Read More from the download manager. No review of a browser would be complete without looking at how fast it is. Subjectively, Avant is very pleasing. There’s no delay when performing any action, and even with multiple YouTube and Flash game tabs open, there was no delay when switching between tabs. Users with less powerful system might have worse results, but this was on an older Core 2 Duo processor, so it’s not as if Avant was brought to its knees by sheer lack of hardware power. The only complaint I have is that, when dragging the browser around in a window, the contents lag the browser window itself slightly. You won’t often have to deal with this issue, and it’s minor when it occurs, but it is notable since other browsers don’t exhibit the same behavior. Of course, subjective tests can only get you so far. Let’s see how the browser performs in the Peacekeeper browser benchmark. Here we can see that Avant comes in last, but doesn’t lose by much to Firefox 8. This result is what you’d expect considering that Avant uses the IE9 browser engine. Chrome, as usual, easily outruns both Avant and Firefox 8 by a large margin. I’ve used a lot of alternative browsers in the past, but often found flaws in them that would prevent me from using them full-time. With Avant, I find no such issues. This browser is reasonably quick, very stable, and offers a ton of features. This is a good choice for users who want to standardize around the Internet Explorer browser engine but don’t want to use Internet Explorer 9. In fact, I don’t see why anyone would use IE9 instead, as Avant offers the same web compatibility but also a ton of additional features. 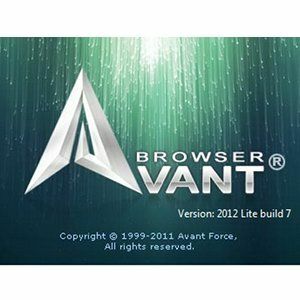 Avant browser is very useful .faster, more stable and uses less memory. I begin to use the tri-core version now. I feel avant browser runs most stable with firefox engine. Sometimes I change to chrome mode for visiting picture sites. It offers many handy-to-use features. Detach the tab, split view, and the video sniffer I lilke most. Of course, other old functions including rss, online bookmarks,mouse gesture are awesome. It's definitely a good alternative. beautiful skins in next verison. Hope dream comes true. Avant browser has three rendeirng engines now:IE ,firefox and chrome. I used the dual-core version (IE and fierfox). Runs stable and fast just as what firefox should be. The three-core version is still s beta one. I will try it after the officer version released. I have used it for years now and love some of the features. The mouse gestures are great and it seems to work very well - I also use FF and Chrome but as yet the default browser is still Avant. Interesting...I just ran the file to download Avant from absetup.exe from their own site, but windows 7 which I have, wont let me use it at all. (could harm my computer) *Run anyway* did not work either. Whats up with that?? I'm not sure. I run Windows 7 as well. I have used Avant off and on for many years, and I miss the ability to create skins for it in the current version, but it's always been fast and reliable for the most part. I'm using Windows7 x64 and that may be affecting it, but I get occasional crash messages with the new version with a statement that it's closing down, but reloading the pages is all that is needed. It is quick to open and quick to close, and I use it and Maxthon3 as alternatives to Firefox and Chrome. Last time I checked Avant was wrapping the IE web browser. Has that changed? "Here we can see that Avant comes in last, but doesn’t lose by much to Firefox 8. This result is what you’d expect considering that Avant uses the IE9 browser engine. Chrome, as usual, easily outruns both Avant and Firefox 8 by a large margin."